Buy Fox Valley® River Birch online. This dwarf river birch was selected in Oswego, Illinois based on its eye-catching compact growth habit. 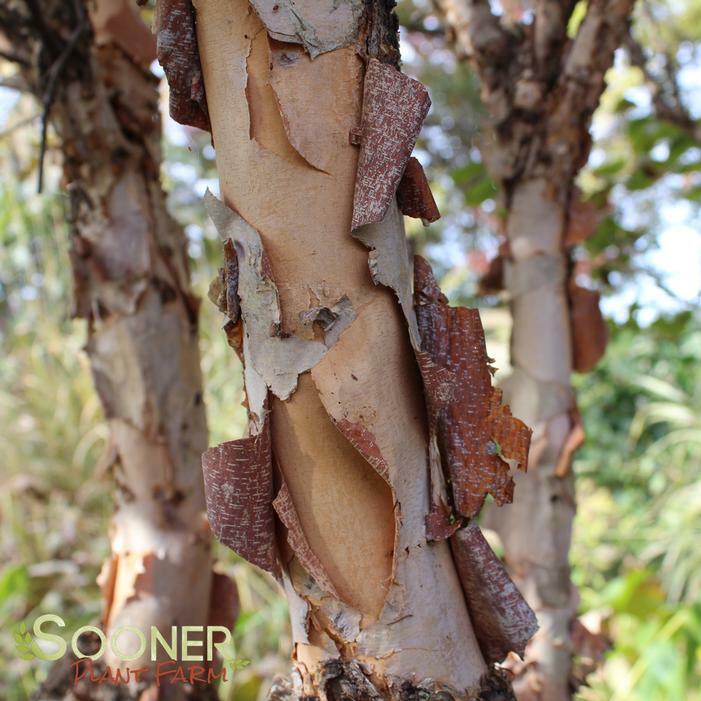 Because of the its growth habit, it tends to have a more shrub-like appearance than other types of Birch. It has also proven adaptable to various soil types as well as resistant to pests and diseases. Besides its unique and outstanding growth habit, it also displays attractive salmon-orange and cinnamon red patterns from its exfoliating bark. This trait begins at an early age. Though not the most vigorous grower, in a good environment you can expect 8 to 10' of growth in both height and spread within ten years.